Development, manufacture and sales of high quality products for technical electric heating are what we stand for. We have specialized in developing and manufacturing innovative solutions and products within industrial electrical heating. 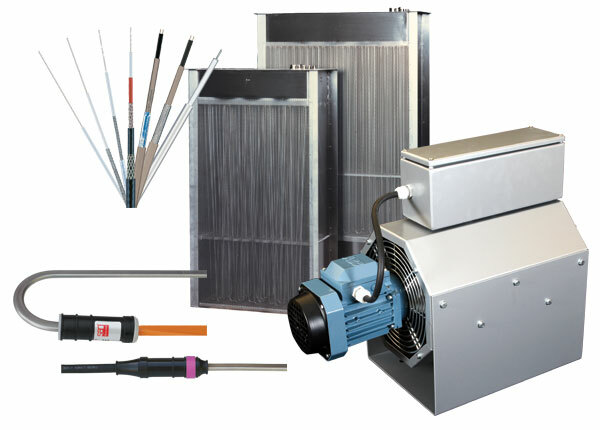 Our product range spans from electrical heating cable, thermostats, standard or customized immersion heaters - through electrical heating blankets, electrical heating pads - to complete, huge heating systems for railways or the process industry. Actually, we deliver electrical heating equipment for any purpose. No customer is too small nor too big. Another of our product groups is radiators and towel dryers. You will find a complete range of products under the section Comfort Heating. Please, call our sales department for advice, consultary or prices.